Pradosh Vrat, also known as Pradosham, is dedicated to Lord Shiva and Goddess Parvati. The Pradosh fasting and rituals are observed on the 13th day of lunar fortnight.There is an interesting story mentioned in the Puranas which narrate the origin of the Pradosh Fasting. The Pradosh vrat katha is associated with Samudurmanthana or Churning of ocean and Lord Shiva drinking the poison Halahala. To get Amrita or the elixir of life, Devas and Asuras started the Samudra Manthan or churning of ocean on the advice from Lord Vishnu. The churning of the ocean produced the terrible poison Halahala which had the capacity to devour the universe. Lord Shiva came to the rescue of the Devas and Demons and he drank the poison Halahala. The demons and gods continued the churning of the ocean and finally they got the Amrut or elixir on the twelfth day of lunar fortnight. 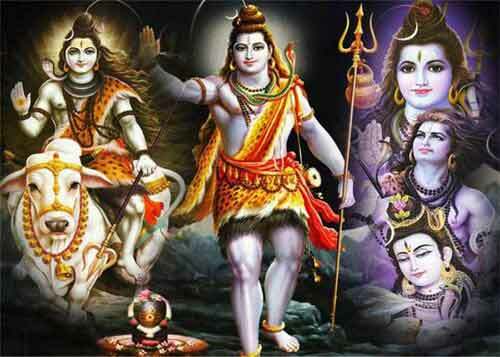 The Devas and Asuras thanked Lord Shiva on the thirteenth day. Pleased with the devotion, Lord Shiva is believed to have danced between the horns of Nandi – the bull. The time when Shiva was extremely happy was the Pradosham period or the twilight time. It is believed that Lord Shiva is extremely happy during this period and blesses all this devotees and fulfills their wishes during the Pradosh period on Trayodashi day. Shiva devotees perform Pradosh for attaining moksha and fulfilling their dreams.